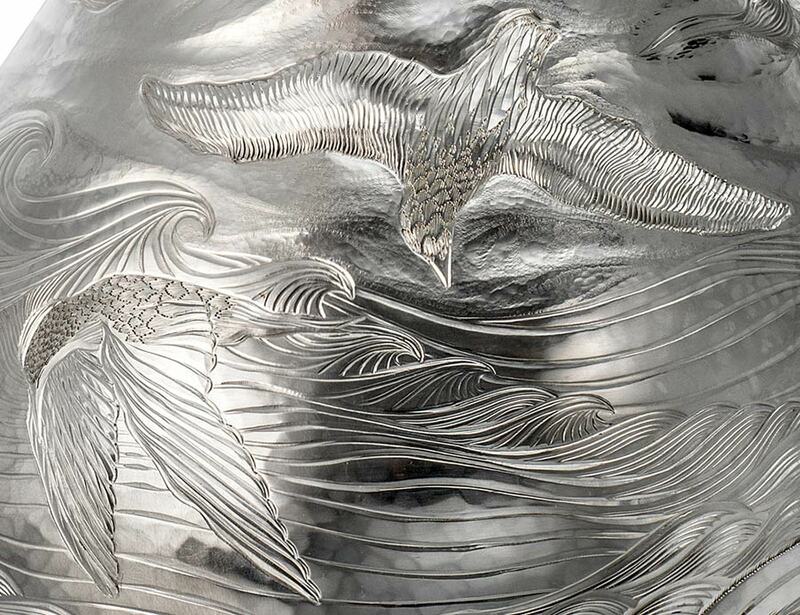 Multi-award winning artist silversmith who uses hand engraving, carving, chasing and repoussé in her work. 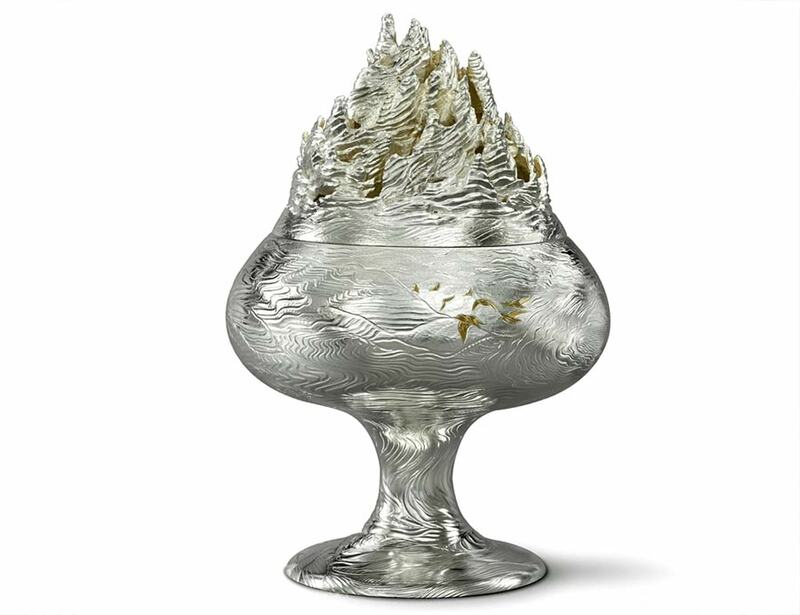 She creates pieces for private clients and public commissions, including the Worshipful Company of Goldsmiths, New College Oxford, the Victoria & Albert Museum and the National Museum of Wales. 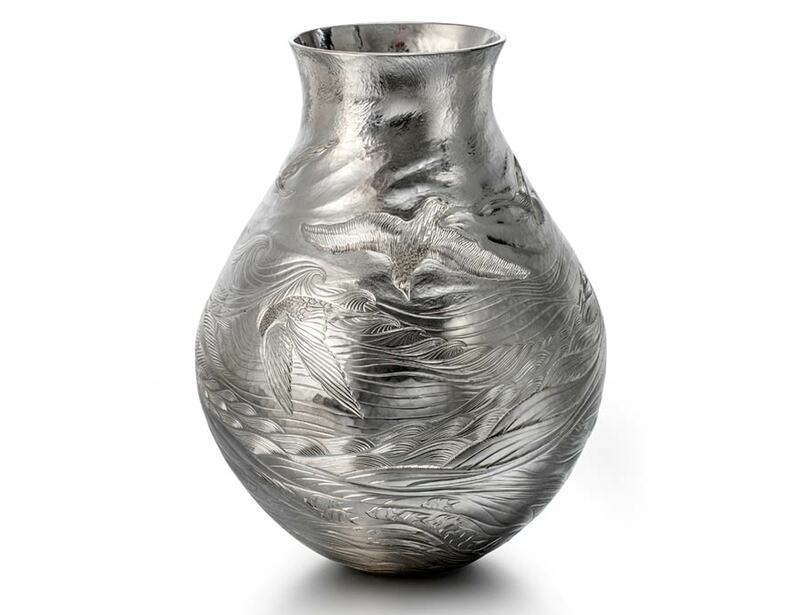 Miriam graduated from the University College for the Creative Arts at Farnham in 2007, and went on to study at Bishopsland’s postgraduate residential course for jewellers and silversmiths. 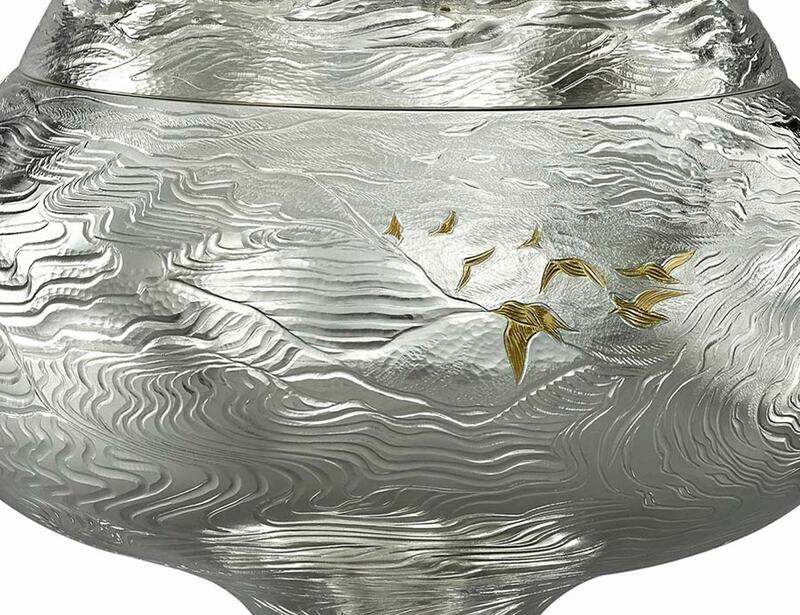 Since her first trip to Malcolm Appleby’s workshop in 2008, hand engraving has become an integral part of her creative design process. 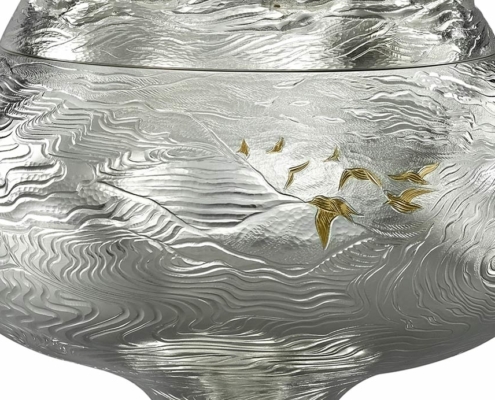 She uses hand engraved detail alongside chasing to define her style. 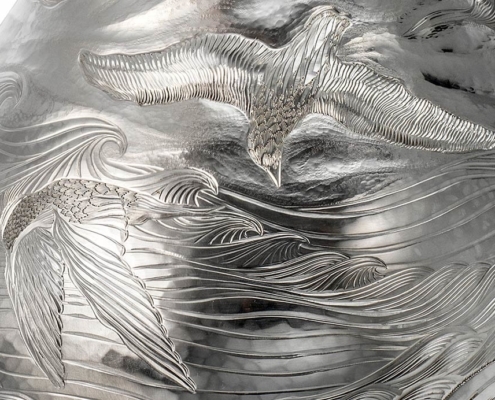 Miriam won the Malcolm Appleby Creative Engraving Award in 2010 and 2011.